place for recruiters to find me. place for casual work acquaintances to follow me and for me to follow them. 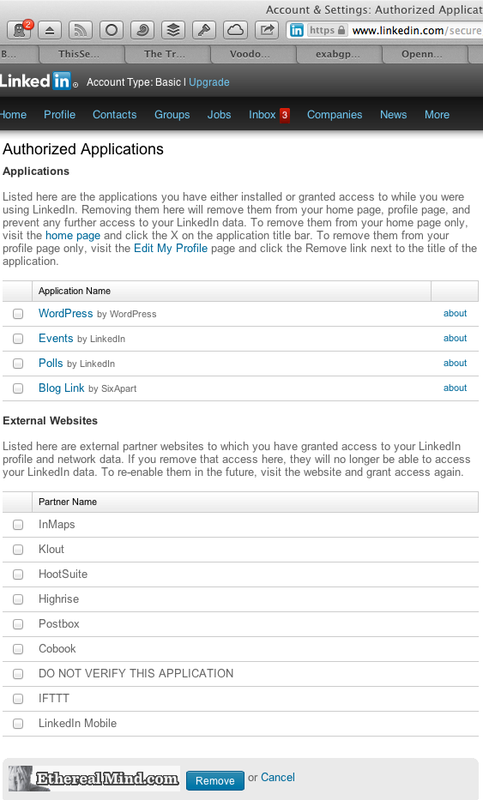 To date I’ve never used LinkedIn to locate people or offer someone a job, but it might happen. Might isn’t good enough. Really, LinkedIn has very little value and the spam has turned it into an annoyance. 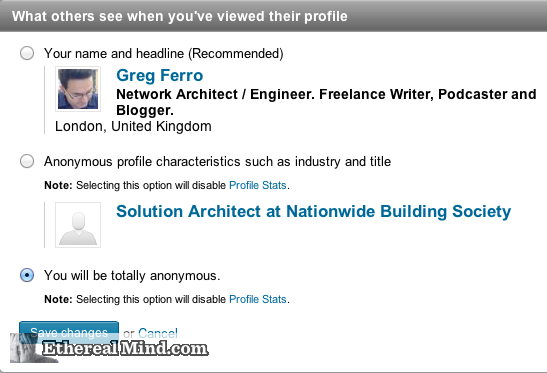 I spent ten minutes going through my LinkedIn settings and was shocked by how data is being leaked about my life from LinkedIn. So here is what I did. 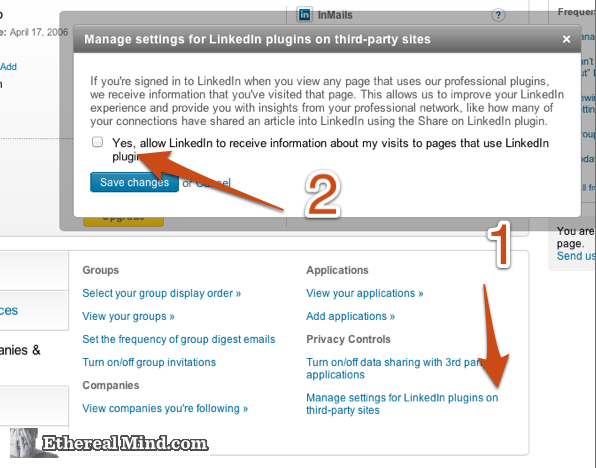 remove Third Party data linking ( Facebook style). 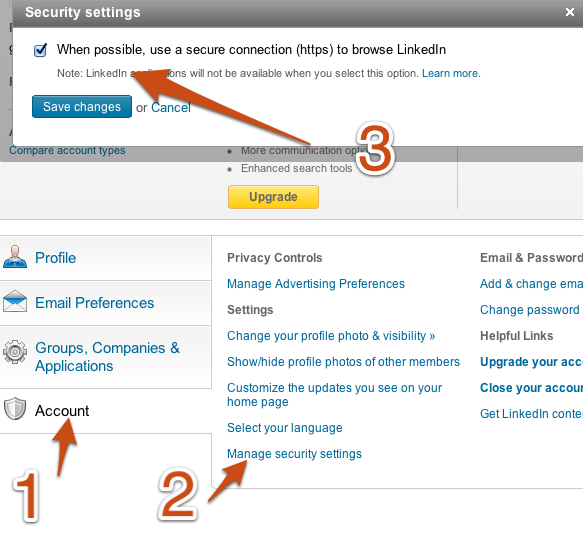 Configured LinkedIn to use HTTPS. Disabled permission to display third party ads (aka sell my data to external company and show me ads with that information). 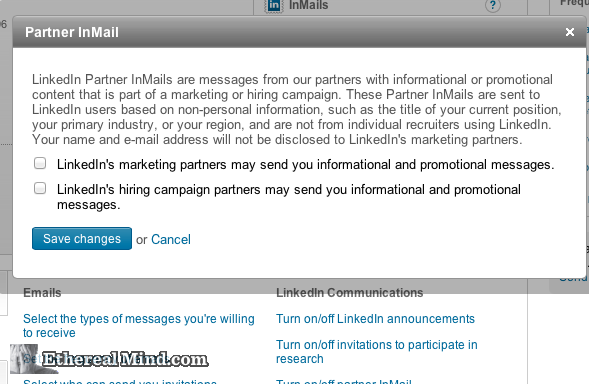 It’s shame that LinkedIn has been reduced to a crappy copy of Facebook. It was a useful and likeable service for professionals a few years back and I enjoyed finding out where work colleagues had moved to, what they were doing etc. Today, it is a cheap knockoff of Facebook without any of the good bits (note: I don’t have a Facebook account – there are no good bits). LinkedIn was once targeted at professional people and I enjoyed a quality experience. It was useful & even valuable. Today, it’s heading down the path of chasing page views which has led to a crappy experience. The lessons of Instagram and Pinterest with simple pages and content have been completely lost on their management. I mean I left Klout enabled in there. The only reason Klout exists is to profile your personal life and sell it to advertisers. 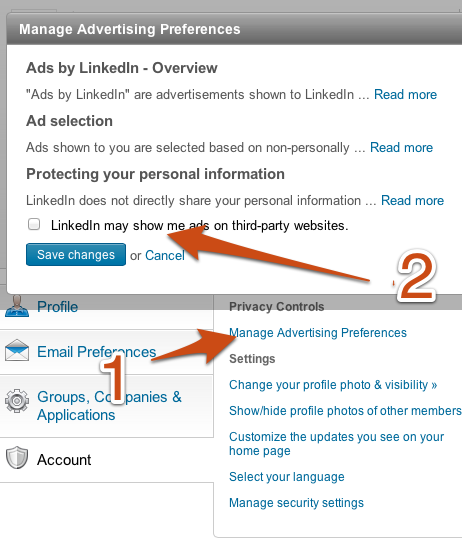 Just like Facebook, those LinkedIn buttons that you see on every page capture data about you. Where you have been, what you like. LinkedIn lets you opt out of the data collection when this happens (use should be using Ghostery to block tracking cookies anyway). You want to use my personal information and show ads to me based on that information ? No thanks. 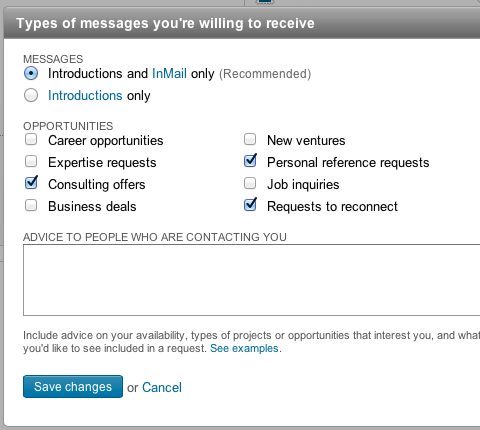 Sending you email is a way for LinkedIn to advertise itself as well as provide you a service. But more than two emails a week is too many. 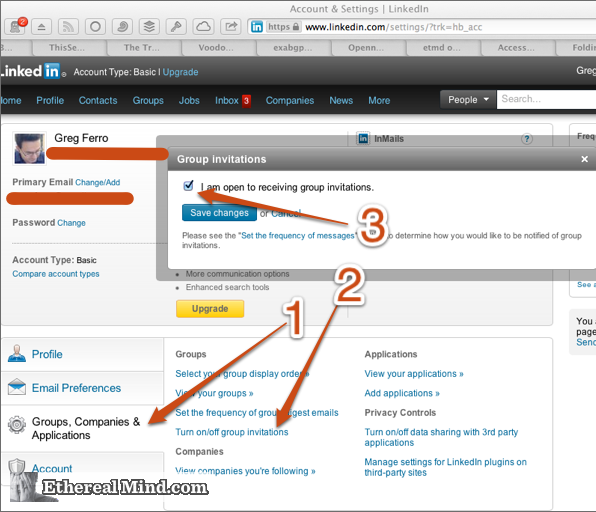 Configure LinkedIn to send the least amount of “LinkedIn Inmail” as you can stand. And then disable all of the group emails. I did find the group email useful a few years ago, but now they are completely overrun with recruiter spam. There is no signal in the noise. 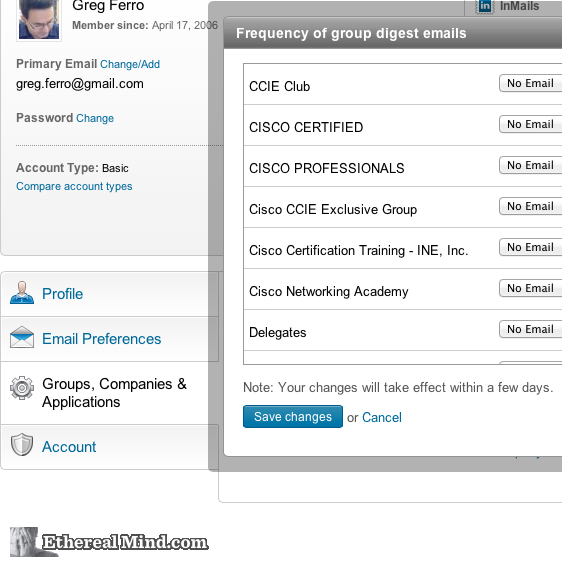 I find the home page in LinkedIn to be very cluttered and can’t see any useful information. There is so much “happening” on the page that I can’t get anything useful from the data. These settings appear to tone down some of the the clutter. Does anyone care that you have been looking at their profile ? Do you want other people (aka recruiters / agencies) to see your connections. Today, I’ve blocked this because of the spam but a year ago it was a valuable way for recruiters to be able to locate work colleagues and consider them for new roles.